'Broadway': A Mother's Wistful Quest For Stardom In his debut novel, Broadway Baby, Alan Shapiro examines the fictional life of Miriam Bluestein, a woman whose dream of a life on stage slowly unravels her family. Shapiro says the story is presented as a struggle with emotional and physical intimacy. For most people, taking in a Broadway show offers the chance to take a few hours and depart from reality into a more exciting, glamorous world. But for Miriam Bluestein, Broadway is more than just an alternate world. It's a permanent refuge from the rest of her life. In his debut novel, Broadway Baby, Alan Shapiro examines a portrait of a family with Bluestein as a Broadway-seeking matriarch. The story follows Bluestein as she attempts to realize her dreams of musical stardom while struggling with the frustrations of an overbearing family. Although Bluestein never fulfills her goal, she vicariously lives out her fantasy through Ethan, one of her three children who shows some promise for Broadway. Shapiro tells NPR's Rachel Martin that even though the characters in the novel are connected through theater, they have difficulties with physical and emotional intimacy. "One way of reading the whole book is a journey toward a moment of intimacy, which she [Bluestein] does have toward the end of the book," Shapiro says. "She learns how to be close to somebody, which she was never really able to do adequately or without at the same time pushing them away." Shapiro says writing the book transported him to another world that he describes as "deeply pleasurable." "Writing is a way of being happy even if what you're writing about is how unhappy you are," he explains. "Not in a therapeutic sense but in the sense that you get to convert things that you have to in life, perhaps, passively suffer into something that you can actively make on the page and so it can give you some sense of agency, power." This is WEEKEND EDITION from NPR News. I'm Rachel Martin. For most people, taking in a Broadway show offers a chance to escape from reality for a few hours into a more exciting, glamorous, musical world. But for Miriam Bluestein, Broadway plays are the frame she uses to make sense of the world. Familiar theatrical plot lines help her manage difficult relationships in her life, and the stage of her imagination is the only place where her true emotions are revealed. Miriam is the central character in the debut novel from acclaimed poet Alan Shapiro. It's called "Broadway Baby." And Shapiro starts the book when Miriam is just a young girl, infatuated with the stage and star struck by her own mother. I asked him to read an excerpt. ALAN SHAPIRO: (Reading) In the predawn dark, the train pulled out of South Station. Miriam had been looking forward to this trip all week, but now that it had started, she began to wonder why her mother wandered her along. Sitting across from her, she watched her mother's reflection in the window - in one hand, as always, a cigarette burned at the end of a long, white holder, while her other hand now and then turned the pages of the big account book in her lap. Thin threads of smoke swirled up from the tip of the cigarette. It seemed to wave mournfully at the ghost threads in the window waving back at them. Miriam stared at her mother's bent head floating on the darkness, the yellow curls meticulously tight and flat against her high forehead, the diamond-studded reading glasses perched on the tip of her long nose and the sealed look of her thin lips, the no-nonsense, don't-be-a-bother-to-me look that Miriam knew by heart. She was the most beautiful and best dressed woman Miriam had ever seen, even more beautiful there reflected in the window where Miriam could watch her without her mother knowing. MARTIN: She idolizes her mom, as so many girls do, but there's fear in there. SHAPIRO: Yeah, because her mother is the kind of person who doesn't suffer fools gladly and she assumes, until proven otherwise, that everybody is a fool. She's a high, you know, very driven businessperson who has the onus, as the book shows, of kind of her own secret life. And she didn't want a child getting in the way of it. MARTIN: These characters, they have a really hard time with intimacy - physical intimacy, emotional intimacy. SHAPIRO: Well, yes. Right, right. In fact, one way of reading the whole book is a journey toward a moment of intimacy, which she does have toward the end of the book. MARTIN: Describe that. It's a lovely, lovely scene. SHAPIRO: Yeah. She forms a friendship with a woman in the retirement community where she lives and the woman has Alzheimer's Disease. And at a certain point in the friendship she finds her out in the hallway and, you know, she's soiled herself and she's half-naked. And so Miriam takes her into her apartment and has to get into the shower with her to wash her off, and it's the closest in a way that she's ever gotten to any other human being. And yet, it's someone who has no memory. But it's, you know, for someone who had these dreams of a great life, in some ways the greatest thing that had happened to her is something that wouldn't actually register on her radar as anything terribly important. And that's in a way some of the sadness of her character. MARTIN: Does she learn something from that experience? SHAPIRO: Oh yeah. She does. She learns how to be close to somebody, which she was never really able to do adequately or without, at the same time sort of pushing them away. So, this is the one time where it finally happens. And at that moment, you know, she's so self-conscious and always measuring everything that happens to her with representative scenes in the theater. This is the one time when that doesn't happen. MARTIN: She can't conjure up an image of a Broadway musical to parallel it. SHAPIRO: ...to be washed off by another person. Yeah, so hard to imagine what the melody to that would be. MARTIN: You said of this book that over the years that it took you to write it, it became like a dream world to you. And that living in it was, quote, "nothing, if not deeply pleasurable." What was special to you about this world? Because in many ways these are very sad, broken people. SHAPIRO: Yes. These are survivors in many cases. But, you know, writing is a way of being happy even if what you're writing about is how unhappy you are, because - and not in a therapeutic sense, but in the sense that you get to convert things that you have to in life perhaps passively suffer into something that you can actively make on the page. And so it can give you some sense of agency and power. You know, I'm an easily distracted person. I've been diagnosed with attention deficit disorder. One of my children had it and so the doctor had us tested as well. It's the only test I've ever aced. Elizabeth Bishop has a wonderful line. She says that the thing we want from great art is the same necessary for its creation, and that is a self-forgetful, perfectly useless concentration. And that's that kind of deep Zen-entranced experience that I have when I'm writing. You know, I sit down at the desk at 9 o'clock, I look up and it's 4 o'clock suddenly and all those hours have gone by as in a single moment. And, to me, that's paradise. That's heaven. 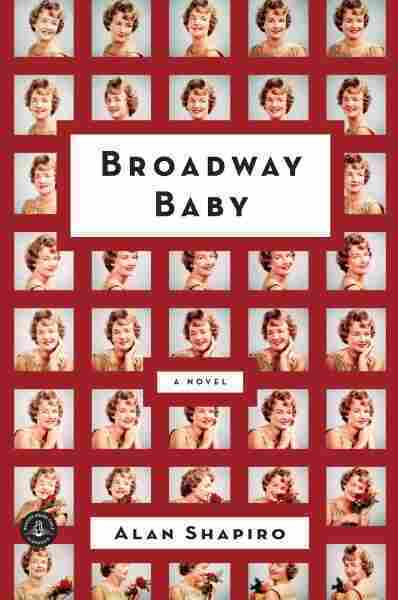 MARTIN: Alan Shapiro's new novel is called "Broadway Baby." He joined us from WUNC in Chapel Hill, North Carolina. Alan, it was a pleasure. Thanks so much for talking with us.